Brent crude oil prices used to price international oils, lost 26 cents to $72.63 per barrel., a fresh six-month low. It shed 2.9 percent on Thursday to $72.89 a barrel in London. The brent crude oil price has fallen 15.13% during the last one month from its 52 week high of $86.29 per barrel. The stocks of oil marketing companies (OMCs) rose in trade today supported by a fall in brent crude oil price in international market. OMC stocks such as Bharat Petroleum, Indian Oil and Hindustan Petroleum rose up to 8.45% in trade today. While Indian Oil stock rose up to 6.79% to Rs 150.95 intra day, the Bharat Petroleum stock surged 8.45% to Rs 307.20 on the BSE. The Hindustan Petroleum stock rose 6.34% to Rs 244 level on BSE. Meanwhile, brent crude oil prices used to price international oils, lost 26 cents to $72.63 per barrel., a fresh six-month low. It shed 2.9 percent on Thursday to $72.89 a barrel in London. The brent crude oil price has fallen 15.13% during the last one month from its 52 week high of $86.29 per barrel. At 3:02 pm, the Bharat Petroleum stock was trading 6.62% or 18 points higher at 302 level. The Indian Oil stock was trading 4.95% higher at 148.80 level on BSE. The HPCL stock was trading 4.66% higher at 240.15 on the BSE. The Bharat Petroleum stock has been gaining for the last three days and has risen 13.22% during the period. The large cap stock has lost 44.16% during the last one year and fallen 41.80% since the beginning of this year. The stock opened with a gain of 3.80% today. Similarly, the Indian Oil stock has been gaining for the last three days and has risen 8.53% during the period. The large cap stock has lost 28.54% during the last one year and fallen 23.61% since the beginning of this year. The stock opened with a gain of 2.97% today. The HPCL stock too has been gaining for the last three days and has risen 8.55% during the period. The large cap stock has lost 46.13% during the last one year and fallen 42.40% since the beginning of this year. The stock opened with a gain of 2.96% today. 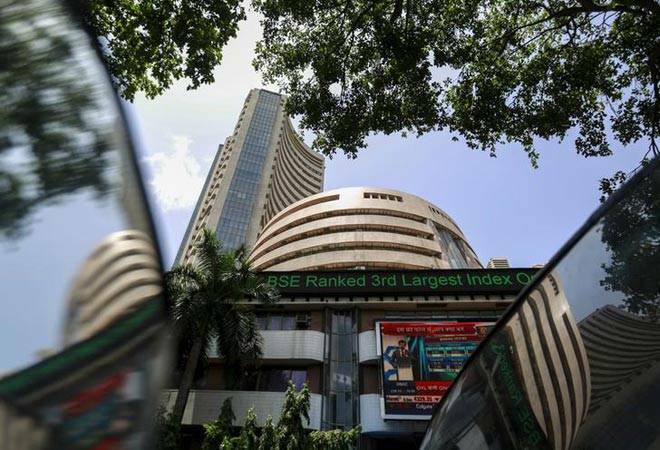 Meanwhile, the Sensex was trading 550 points or 1.60% higher at 34,982 level. The Nifty too was trading 1.59% or 165 points higher at 10,545 points. The rupee rose 87 paise to 72.58 compared to the previous close of 73.45 against the US dollar. The currency has gained Rs 1.27 during the last two sessions.